Currently, Cass County is in Region 6, known as the Southeast Nebraska Development District, or SENDD. LB1019, introduced by Elmwood Sen. Robert Clements, would transfer the county to Region 8, known as the Metropolitan Area Planning Agency, or MAPA. Clements said much has changed since the regions were created in 1992 to help coordinate economic development in regions across the state. While some of Cass County still is considered rural, he said, much of the county is now bedroom communities for people who work in the Omaha metro area. As a result, Clements said, Cass County would like to join Washington, Douglas and Sarpy counties, which are more natural economic development partners. 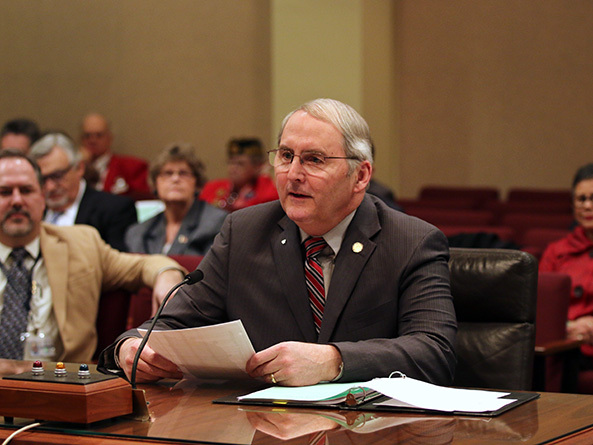 Jim Peterson, a member of the Cass County Board of Commissioners, testified in support of the bill. 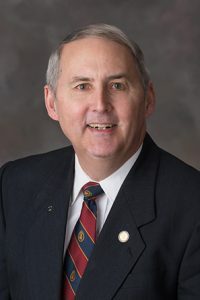 Approximately 42 percent of the county workforce commutes to Douglas or Sarpy counties on a daily basis, he said, and soon there will be a continuous freeway connecting Omaha to Plattsmouth. “If you examine the Nebraska planning and development region map, you will see that Cass County’s geographical location is a natural fit for Region 8,” Peterson said. Rita Sanders, mayor of Bellevue and chairperson of MAPA, also testified in support. She said MAPA has engaged in a recent collaboration with the cities of Bellevue and Plattsmouth, Sarpy and Cass counties, two natural resource districts and the state Department of Transportation to ensure that the new Highway 75 Platte River bridge includes a side path for pedestrians and cyclists. MAPA has demonstrated a willingness and ability to coordinate interlocal agreements in the region, she said, and the Cass County Board voted unanimously to pursue becoming part of MAPA. “In situations such as these, local elected officials who know their communities best should be trusted to do what they believe [is] in the best interest of their city or county,” Sanders said. Cheryl Brandenburgh, representing SENDD and the Nebraska Economic Developers Association, opposed the bill. Cass County contains many small towns and unincorporated communities that would not be a good fit for a metropolitan-focused economic development region, she said. Communities near Omaha currently can participate in interlocal agreements with MAPA entities, she said, so there is no need to move the entire county to that regional development district. “This will, we believe, shift resources away from the smaller communities in the county,” Brandenburgh said.